Yet another onam came to visit us today. Onam is a harvest festival of my home town, Kerala, South India. While growing up it was one of my favorite festivals as amma used to make a grand feast and appa will get us new clothes. Schools are closed for this holiday; new movies are released for Onam. Hope everybody celebrated this festival with great fun. Even though there are 4 -10 days of celebrations, the most important is Thiruvonam day that is today. Since my hubby has to work, I didn’t make a feast today. As he is off on this Friday that is Nalam Onam (4th day of onam) I am planning to make feast. Myth regarding festival of Onam is a celebration to welcome the arrival of the State’s ruler, King Mahabaliwho belongs to Asura group (people who are materialistic and wanting to become Gods). However King Mahabali was very pious and good man and during his rule everybody was happy and country was prosperous. But due to some jealous devas (another group who are Gods) he had to leave his country and go back to pathala or underworld. But he was granted a unique wish that he can see his subjects on every Thiruvonam day. King Mahabali is believed to visit every home today. Every home will be decorated with unique floral carpets (pookalams, as they are called) and the Onasadya or traditional feast is prepared as part of celebrating the King’s visit. Every television channels will be in a competition with each other to show onam movies and shows, so once you had feast, come and sit in sofa and watch movies. Yesterday while during our conversation at tea time, I told my hubby this Onam is the first Onam of our prince Nikhil. So we have celebrate, then my hubby’s question was will Mahabali visit us here in US too. I told sure he will us, due time difference between India and US he will be able to do it. After visiting us he will go back to pathala (underworld). Both he and we will be waiting for next visit for another onam. Hope everybody celebrated this year’s Onam with great enthusiasm. I made this aval/ poha/ flattened rick flakes pudding. Yesterday I made some banana chips too. It was really hard to make with two crying babies who fight each other to see who is best in crying. My girl who cries for everything without any reason, on the other hand my boy who always wants mama to held him. His thinking is that why you are working, you have to take care of me. Coming back to the recipe, this is an easy pudding recipe; both aval/ flattened rice flakes and condensed milk are star ingredients. First roast the aval in ghee for 5 minutes then cook them with water and add milk, and once milk starts boiling add condense milk and again boil for few minutes. Finally garnish it with ghee roasted cashews and raisins. You can increase the flavor by adding some cardamom. Take all your ingredients from the pantry. In thick bottom pan or sauce pot heat ghee and roast cashews and raisins one by one until cashews become golden brown and raisin gets plums up and set aside. Then in the same pan roast washed aval /flattened rice flakes for about 5 minutes or until it gets roasted and slightly change color. Then add water and cook for about 5 minutes. 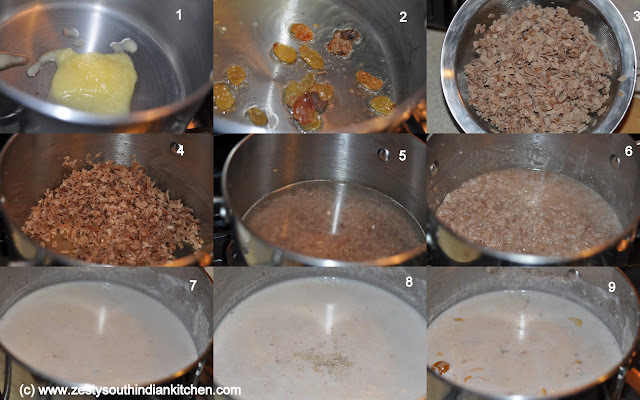 To this add milk and cook until it get reduced for about 15 minutes. Then add condensed milk, if you want extra sugar add this time. and boil for another 5 minutes. Finally add crushed cardamom and roasted ghee and raisins and switch off the flame. In a heavy-bottomed pot, heat ghee and roast cashews until it becomes golden brown color and raisins becomes plump up and set aside. In the same pot roast washed aval or flatten rice flake for about 5 minutes or until it changes the color. Then add water and cook for about another 5 minutes. To this add milk and boil for another 15 minutes. Then add condensed milk and cook for another 5 minutes. Finally add crushed cardamom and ghee roasted raisins and cashews. Switch off the flame. Instead of condensed milk you can use sugar or other sweeteners. Very yumm & delicious payasam,Swathi..Happy Onam to u & family..Hope u had a great one!! hi swathi, great pics you have , makes your payasam looks more delicious. never seen or tried this before. 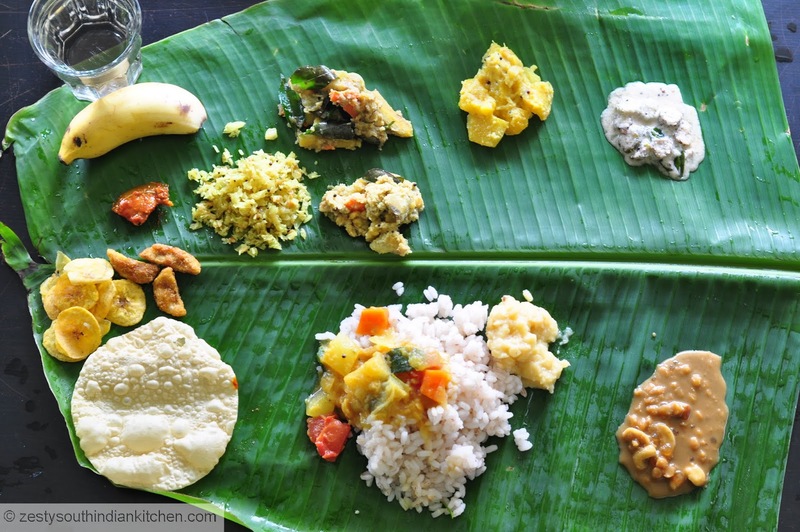 since blogging, i realized Kerala is very famous in culinary aspects. Delectable recipe!! Happy Onam !! Delectable bowl of aval payasam dear. Lovely write up. Happy onam to you and your family, Swathi. Very nice to read your post Swathi. Happy Onam to you and your family. Yummy payasam dear 🙂 Looks so inviting!! Omg, wat a rich looking payasam,inviting Swathi..
What a lovely dessert to celebrate so special An occasion! Your blog really is beautiful! Hope you’re coming to link up to our Foodie Friends Friday party tomorrow! Thanks for the visit today. happy onam swathi.. delicious payasam.. I actually prefer condensed milk than sugar as the sweetener.. Most of the payasams get a richer taste with this condensed milk.. Nice stepwise..
What a wonderful rice pudding! I hope you had a spectacular harvest festival celebration, my friend! Happy Onam. This looks good. I have been planning to make it for sometime. Swathy, I just enjoyed so much reading the story about Onam and the king; Love the history of various celebration and its so nice to be educated about various cultures and celebrations that follow! Such a delicious and comforting Payasam you made. So attractive, creamy, and comforting. Love the addition of the condensed milk! You know, I have never heard of Onam before, but I quickly went to Wikipedia to educate myself. And happy Onam to you! This recipe looks delicious, and your photos are gorgeous! Thank you for the information about Onam. I was not familiar with it at all. I see i have some research to do. 🙂 No matter what the holiday, this pudding would be scarf up in my home in a second! So delicious! 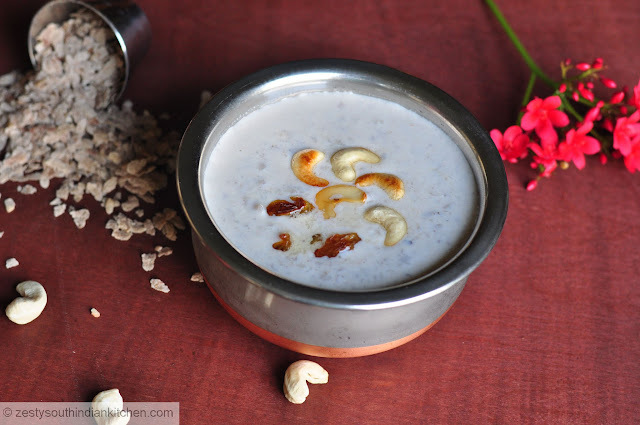 Creamy and tempting payasam…Nice write up too..
Wishing you a happy Onam and lovely payasam for the occasion. I normally replace the condensed milk with carton milk because we don’t really fancy very sweet desserts. Happy Onam to you and your family Swathi! Hope you had a very nice feast. This looks like a tasty treat for celebrating! 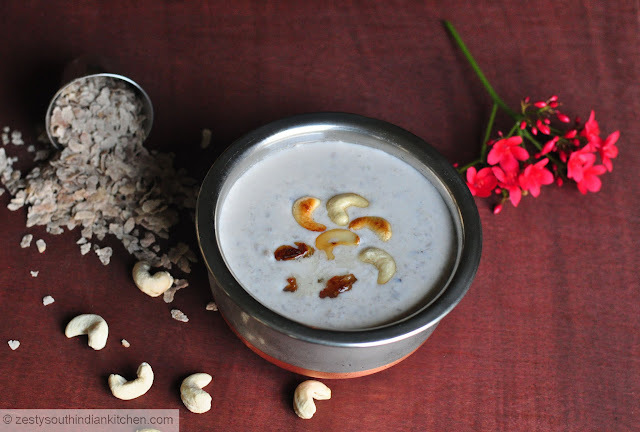 What a wonderful way to celebrate your son’s first Onam, the payasam looks great.